Created by tsangk on 12 Jul 2012 07:11. Last updated by swordzman0611 on 14 Aug 2016 03:19. 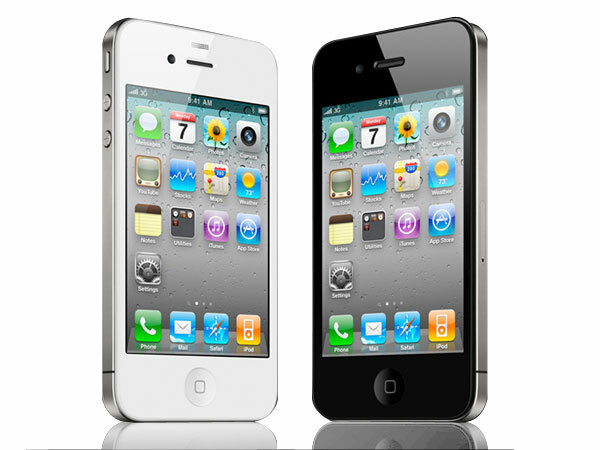 Following on the blockbuster success of the iPhone 3GS, Apple in 2010 released the iPhone 4 with a more elegant glass-backed design. However, the updated case was also slightly thicker and flatter than all previous iPhone models; this was done to accommodate multiple radios, an improved battery, a 5 MP rear camera, a VGA-quality front camera, and a revised three-part antenna band system that would lay the ground work for future models. The iPhone 4 was also the first phone to deploy an SoC (system-on-a-chip) known as the "A4", using a framework acquired from PA Semi that Apple recently absorbed in conjunction with Samsung Cortex technology. To round out the hardware, Apple also deployed the "Retina" display which, at 326 ppi, was "sharper than the human eye can perceive"
Also new to the iPhone 4 was FaceTime, an Apple technology allowing for instantaneous videoconferencing between Apple devices on WiFi networks. The included iOS 4 also boasted of dozens of new features, including basic voice-command from Nuance and support for preemptive multitasking. This iPhone was not completely without its drawbacks, however, as it was the subject of a flaw in the antenna system that hampered call quality if the grooves in the system were covered by the human hand when gripping the unit. Apple later acknowledged the flaw in a press address and subsequently offered a "Bumper" to all iPhone customers at no cost for six months post-discovery, also issuing iOS 4.0.1 to adjust the signal-strength calculation algorithm.